I strongly believe that photography is one of the most important choices you will make while planning your wedding. Your photos are the tangible memories that you will have for a lifetime. Something to show your kids and grandkids years down the line. 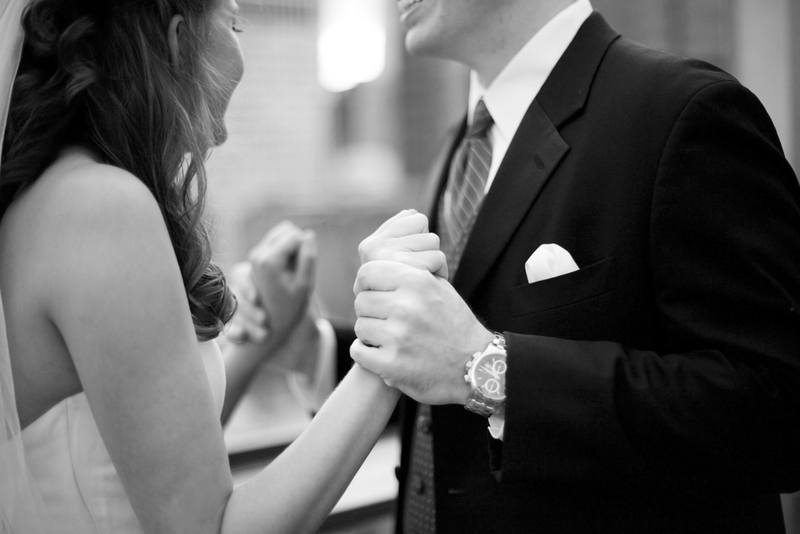 I want to make sure that you and I are the PERFECT fit so you can have the wedding experience you deserve. So let's grab a glass of wine and you can tell me all about your big day...and let's see if I can be the one to make your day that much more special. From the moment she sat down in her blazer and bracelets we knew we had found our wedding photographer. We met for the first time at Starbucks (of all places) and after two hours of getting to know her we finally talked about photography. Her flexibility and willingness to adapt to our style made us feel important and ensured it would be a memorable experience. She is dynamic, creative and endearing. Her sparkling personality was infectious and it showed in her photos. Lauren invests every ounce of her personality and style into her work. We are beyond thrilled to have her capture the most important moments in our relationship. She is not only our wedding photographer but we know we have made a life long friend. Lauren is amazing! We couldn't have been happier with her and the incredible moments she captured during the big day. She is very flexible, accommodating and creative. Not only are we thrilled with the photos, but we had a great time getting to know Lauren over the past few months. She is so much fun to be around that it made the picture taking a very relaxed and easy experience. I am lucky to have gotten to know what a vivacious, likable, fun-loving person Lauren is and how incredibly talented and dedicated she is to photography. On top of that, she has a rare ability to engage you in the moment and make you forget how silly you feel and enjoy the process. She gets to know you, is excited for you and by the end you are ready for another photo shoot! Let me tell you ladies, she not only made Lee feel comfortable, but he had a great time as well. Our experience with Lauren was nothing short of fabulous and I would recommend her to any couple for an incredible experience you'll remember for a lifetime. I can't tell you how pleased Bob and I are with the whole experience of working with you. You were extremely flexible with us the day of the wedding. You made me feel calm and relaxed and I really enjoyed taking our pictures. Thank you so much for coming up with such creative concepts for locations (first look on the roof top, the alley pictures). Also, I loved the pictures of all the details. I loved the candid photos (my mom sewing the comb into my veil, my father and I's first dance, and most of all those special looks between Bob and I that mean more than a thousand words). Basically, I love every single picture and I loved working with you. I look forward to working with you again to capture special moments in our future. I have packages that include a second photographer and I always recommend having two sets of eyes on your wedding day. For engagement sessions however, it is just me. I’ve shot weddings with and without second shooters so I’d be happy to chat more about what fits best with your day! Absolutely! I shoot weddings all over the world and absolutely love shooting in new places! Having a wedding somewhere you love doesn’t mean you should have to sacrifice your photos! Email me and let's chat! I get this question a lot and honestly, it's pretty hard to describe. My biggest goal as a photographer is not only to photograph a memory...but a feeling. I want you to look back on your photos in 50 years and not only be able to see your memories...but relive them all over again. And hopefully as you look around my site you'll get a good feel of who I am as a photographer. What's included in your packages? I would love to chat more about this! Just shoot me an email I will send over all the details. I FOUND A PHOTOGRAPHER FOR CHEAPER. WHY SHOULD I BOOK YOU INSTEAD? I’m the first to admit I’m not the cheapest and you could probably find someone who will take nice enough photos on your wedding day. What sets me apart is not only my style but having almost 10 years of experience shooting weddings. It’s easy to get a great photo when everything is perfect - but it’s when a challenge arises or the lighting isn’t perfect or you have to think quick to get the shot where you typically get what you pay for. I have shot weddings in every situation you can think of (for example, 23 person bridal party inside during an all day monsoon) so no matter what your day throws my way I can handle it and still deliver the beautiful photos you deserve! If you could photograph a wedding anywhere in the world, where would it be? A Greek wedding in Greece, hands down! Still have more questions? Shoot me an email and I'll be happy to answer them!